Buns are all the rage these days and they don’t seem to be trending downward anytime soon. No mater the season, topknots are always a good look. But don't take our word for it! Read on to see more inspiring images of our favorite celebs wearing the trend. 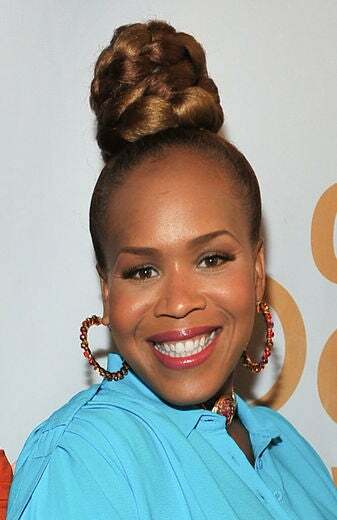 Tina Campbell’s layered bun gives the standard topknot a new twist—no pun intended. Get the look by using synthetic extensions to create a large twisted ponytail. Take the large twist and wrap it into a chunky knot. 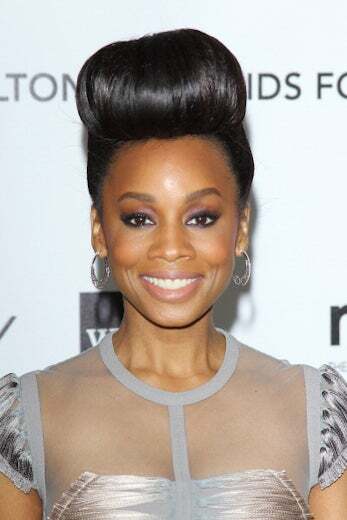 Anika Noni Rose totally flipped the script—literally and figuratively— when she stepped out in this reverse topknot of sorts. Instead of twirling or bunning your high ponytail, flip it towards your forehead, roll and tuck the ends under, and secure with bobby pins. Consider this a cool combo of the pompador and topknot all in one. 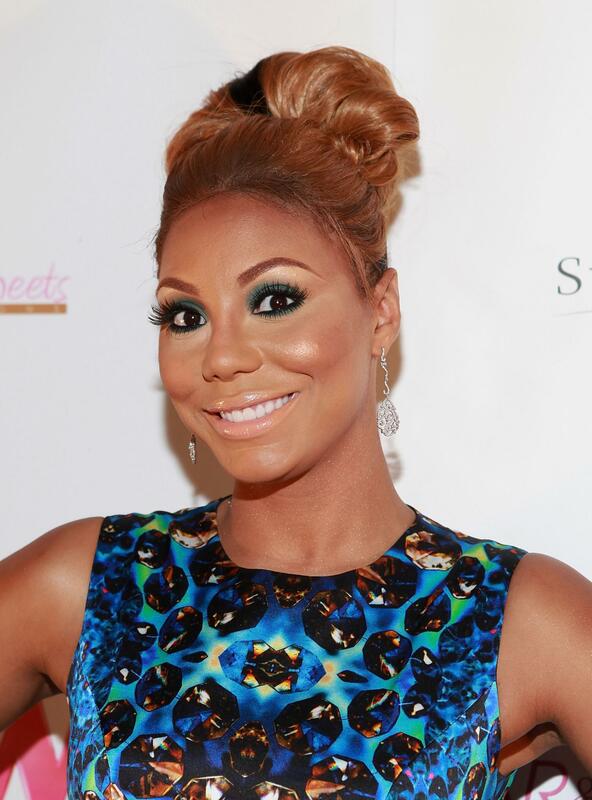 Tamar Braxton is known for rocking mile-long weaves, but the outspoken diva switched up her 'do with this intricate topknot. If you look closely, you'll see that Braxton added one streak of jet black to her otherwise auburn brown bun. It's a subtle pop of color but it makes all the difference. Thandie Newton took her style to new heights in this naturally curly topknot. Newton added even more pizzaz to her updo by wearing it slightly off-center. Give it a try for a dazzling one-two punch of style. Sanaa Lathan took her style to new heights in this classic bun. An easy way to build the ideal bun is by stuffing the center with a foam donut. There are tons of YouTube tutorials on how to do this, including this one by BlakIzBeautyful which is one of our faves. Tika Sumpter wears a topknot to show off her gorgeous skin. This look is great day or night. A layered look is an eye-catching way of remixing your typical topknot. Fan out your bun a la Kerry Washington by looping loose sections around one another until you have a 3-D look you love. Niecy Nash paired her trendy bangs with an elegant sculpted topknot at the Grammy Producers Brunch. If you want a multi-layered look, separate your ponytail into three sections and build your bun piece by piece. Kelly Rowland rocked a messy topknot with full, blunt-cut bangs at the 2013 Academy Awards. The key to creating a messy topknot is to not worry about it looking, well, messy. Don't overthink it. Just twirl, pin and go! Do you love the look of high buns but your hair is too short to make one using your own hair? Go braided! 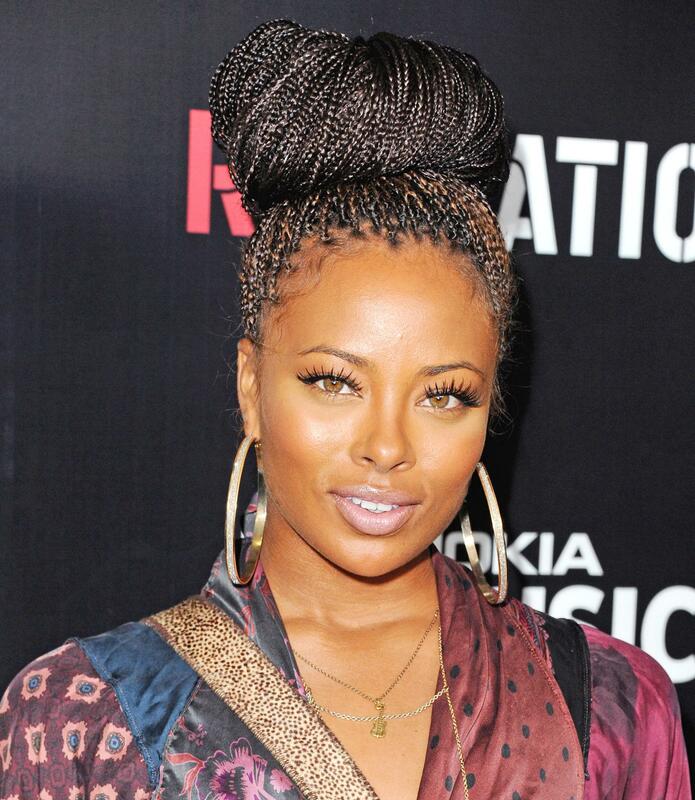 Box braids are back and better than ever so take your cues from Eva Marcille who whipped up her pretty plaits into a stunning topper. 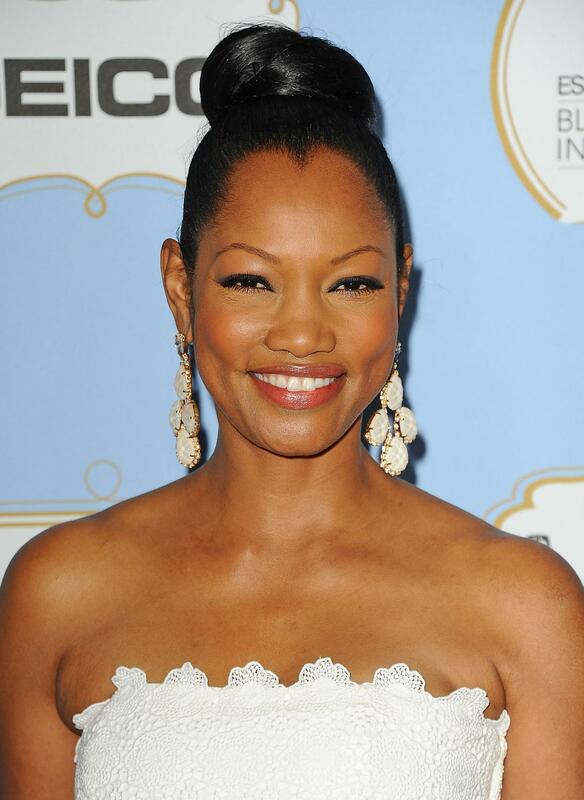 KeKe Palmer put a new spin on the classic topknot by adding a center part. To recreate this look, smooth your hair down towards each ear before brushing it back up behind your ponytail and securing with bobby pins. This is perhaps one of the simplest ways to makeover your topknot! For a low-maintenance look, experiment with adding flat-twists to your topknot. Nicole Ari Parker sported this lovely side-bun that was not only convenient, but cute, too.